The precise reason for the uprisings has been subject to much debate. Many historians, such as D.M. Loades, consider the rebellion to have been primarily motivated by political considerations, not easily separated from religious ones in the 16th century, and notably the desire to prevent the unpopular marriage of Queen Mary I to Prince Philip of Spain. 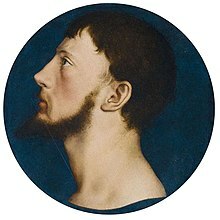 On 16 November 1553 a Parliamentary delegation had waited upon the Queen, and formally requested that she choose an English husband, the obvious though tacit candidate being her kinsman Edward Courtenay, recently created Earl of Devon. The rebels explained that the reason for the rebellion was "to prevent us from over-running by strangers." Nevertheless, all the rebel leaders were committed Protestants. An informer named William Thomas claimed that the conspirators in fact intended to assassinate the Queen and named John FitzWilliam as the assassin. However the Crown at Wyatt's trial acquitted him of any intention to actually harm the Queen. Henry Grey, 1st Duke of Suffolk, who was based in Leicestershire. Other rebels, aside from Edward Courtenay, Earl of Devon, included Sir Henry Isley, Lord John Grey of Wilton, Lord Thomas Grey (Henry Grey's brother), Sir William Thomas (Clerk of the Privy Council), Sir Nicholas Throckmorton, John Harington, 1st Baron Harington of Exton, Sir Nicholas Arnold and Sir William St Loe. Others involved included the French ambassador, Antoine de Noailles, who knew that a Spanish king on the throne of England was not in the best interests of France, and the mathematician Leonard Digges. Each of the four leaders would raise rebellions in one of the four counties, and together they would converge on London, on 18 March 1554. They would then replace Mary with her half-sister Elizabeth, who would then marry Lord Devon. Meanwhile, a fleet of French ships would prevent Philip of Spain from reaching England. Implementation of these plans was prevented when Simon Renard, the Holy Roman Empire's ambassador to England, suspected a plot. He informed the Lord Chancellor, Bishop Stephen Gardiner, who on 21 January arrested Devon, who revealed that there was indeed a rebellion planned. Under increased pressure of time, the planned rebellion was moved forward and went awry. The following day Sir James Croft delivered a message to Elizabeth at Ashridge House in Hertfordshire, but realising that under the circumstances a rebellion would be unsafe, Croft gave up. Suffolk proved more determined, but only managed to raise a force of 140 rebels, many of whom were his own men. He was refused entry to Coventry, and gave himself up. He was later tried and beheaded, as were his daughter Lady Jane Grey, and her husband Lord Guilford Dudley, both still in prison since the failed attempt to put Lady Jane on the throne and neither of whom were involved in the uprising. View of Allington Castle, Kent, before the modern rebuilding. News that Sir Peter Carew was spreading dissent at Exeter in Devon, by saying publicly that a Spanish king would bring the Spanish Inquisition, reached the Court in January 1554. Carew attempted to raise support for the uprising in Devon, but the Protestant nobles there proved unwilling to commit treason, and the county's peasant inhabitants were largely Catholic. Also, he had played a large part in crushing the earlier Prayer Book Rebellion there. A warrant was issued for Carew's arrest, but, forewarned, he escaped across the Channel to Normandy, but was arrested soon after. By this time, the French ships found themselves unable to maintain their position and returned to France. Only Wyatt succeeded in raising a substantial force. On 22 January 1554 he summoned a meeting of his friends at his castle of Allington, and 25 January was now fixed for the rising. On 26 January Wyatt occupied Rochester, and issued a proclamation to the county. Many country people and local gentry collected. At first the queen's supporters, led by Lord Abergavenny and Sir Robert Southwell, the sheriff, appeared to be able to suppress the rising with ease, routing a rebel force of 500 at Hartley Wood on 28 January. But the Spanish marriage was unpopular, and Kent was more affected by the preaching of the reformers than most of the country districts of England. Abergavenny and Southwell were deserted by their men, who either disbanded or went over to Wyatt. He now had 3,000 men at his command. A detachment of the London trainbands was sent against him under the command of the elderly Duke of Norfolk. But they also joined the rebels, raising their numbers to 4,000, while the Duke fled to London. Elizabeth, meanwhile, had been summoned to Court and was held incommunicada, in mortal fear. The rising now seemed so formidable that the Queen and Council sent a deputation to Wyatt to ask for his terms. He demanded that the Tower of London should be surrendered to him, and the Queen put under his charge. The insolence of these demands turned an initially sympathetic London against Wyatt, and Mary was able to rally the capital to her cause on 1 February by delivering a rousing speech at the Guildhall. Wyatt's army reached Southwark on 3 February. Mary's supporters occupied London Bridge in force, and the rebels were unable to penetrate into the city. Wyatt was driven from Southwark by the threats of Sir John Brydges, afterwards Lord Chandos, who was prepared to fire on the suburb with the guns of the Tower. Refusing to give up, the rebels marched to Kingston. The bridge there was also destroyed, but the rebels repaired it and crossed over. They met little resistance as they marched through the outskirts of London, but were stopped by the inhabitants of Ludgate. The rebel army then broke up. Wyatt surrendered, and was tried and executed along with approximately 90 rebels, many of whom were hanged, drawn and quartered. Wyatt himself, after being severely tortured in the hope of extracting a confession implicating Elizabeth, was beheaded at Tower Hill and his body quartered. Courtenay was exiled and would die in the city of Padua, Italy. Lord Thomas Grey and William Thomas were both executed. Throckmorton was found not guilty and released. Sir Nicholas Arnold was never brought to trial but he was pardoned. Other ringleaders included: Sir Peter Carew was imprisoned but released; Sir James Croft was tried and found guilty, but would be pardoned; and William St Loe also evaded punishment. Elizabeth was intensely interrogated and in danger of execution, but managed to be spared due to evasive and intelligent responses, in which she maintained she had been unaware of the planned uprising. Nothing could be proved, but the degree to which she was privy to the preparations has been questioned by modern scholars. Elizabeth remained imprisoned as a precautionary measure. The rebellion proved disastrous for the Wyatt family, as they lost their title and lands, including the family home, Allington Castle. However, when Elizabeth, herself a Protestant and distant relative of the Wyatt family, ascended the throne in 1558, she restored the family titles and lands. ^ "Wyatt Rebellion 1554". Retrieved 16 April 2012. Froude, J. A. (1889). The Reign of Mary Tudor. 2008 reprint: Bibliobazaar, ISBN 1-4346-9230-2. Loades, D. M. (1965). Two Tudor Conspiracies. Cambridge University Press. Tytler, P.F. England Under the Reigns of Edward VI and Mary, 1839. Zell, Michael (2000). Early modern Kent, 1540–1640. Boydell & Brewer. ISBN 0-85115-585-5. This page was last edited on 24 March 2019, at 15:35 (UTC).